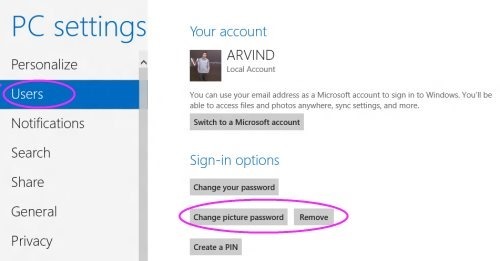 You must be thinking, How’s it possible to login Windows 8 with picture password. 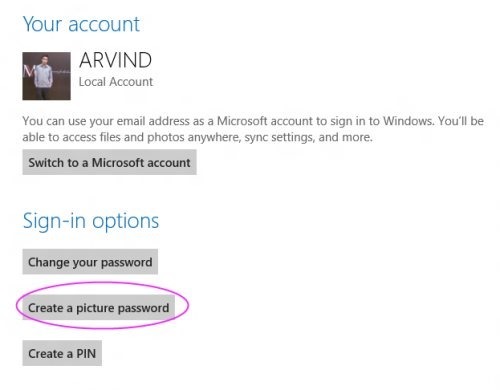 Yes, you heard it right… Windows 8 made it possible to login through picture password. It seems bit crazy, but its fun. And yeah…its absolutely secure! 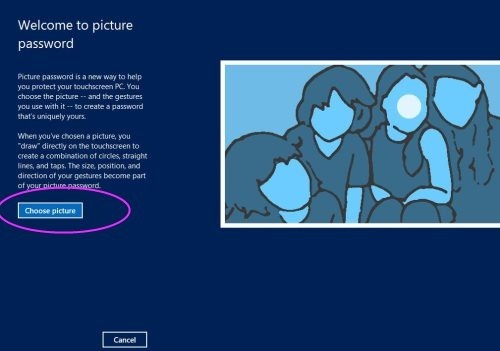 In order to create picture password in Windows 8, you need to select a picture and create gestures on it. The created gesture will be your picture password. Now, when you want to unlock the screen, just draw the same gestures using mouse, and it will quickly unlock it. I found it awesome, very safe, and fun. 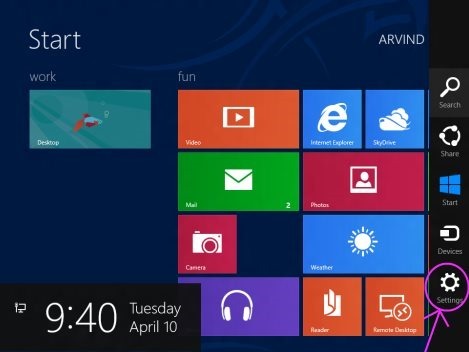 You might have only heard about it but Microsoft made it possible for Windows 8 users. To access picture password option, press Window key+C. Under the PC Settings, click “Users” option. Click “Create picture password” option. You have to first verify your current password. Then, choose a picture from your gallery. Select “use this picture” to add the selected picture. Now, draw and confirm three gestures on the picture like joining two objects and circling on any object. Repeat the same gestures to confirm your password. Your picture password is set, click on finish to confirm the picture password login. 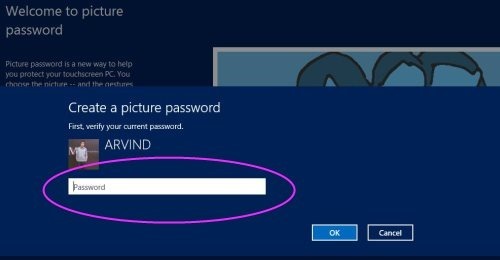 The next time you login to Windows, you will find a picture password background image. Again, draw three points on the picture , you performed and then you will be logged in. 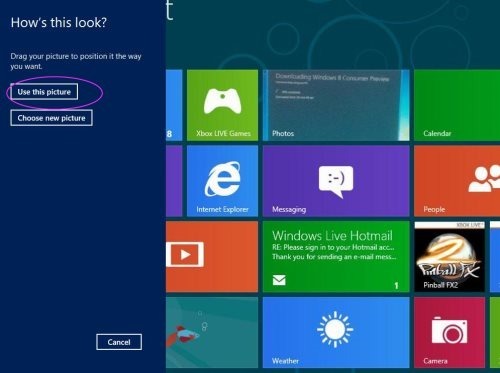 Also check out our post on Windows 8 PC Settings. That’s all, you are done with the picture password for all new Windows 8. 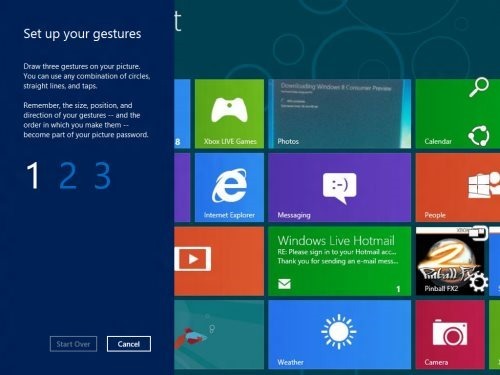 A must trail to this amazing Windows 8 applications should be given.